I just collide with an amazing article Syrians In Ghouta Claim Saudi-Supplied Rebels Behind Chemical Attack by Dale Gavlak and Yahya Ababneh. There Free Syrian Army Rebel has come out and admitted that the rebels were responsible for the chemical attack in Syria blamed upon Syrian government forces. If this information isn’t bad enough, the rebels also admit that the weapons were supplied to them by US ally Saudi Arabia. I have not yet could confirm different sources and facts so I can not say if this information is true or false. However if it is a true story it puts the case upside down compared to mainstream media info and actions taken based to earlier picture. 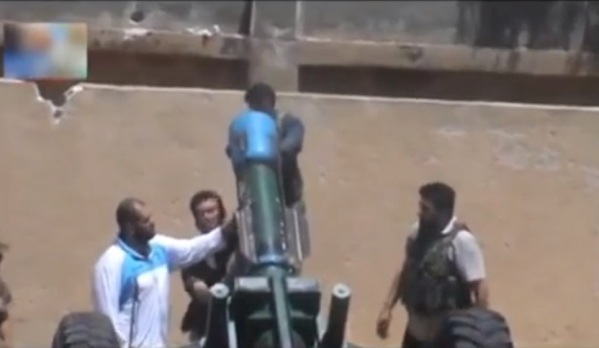 After quote there is also a video showing rebels launching chemical ammunition probably on July 2013. Ingersoll referred to an article in the U.K.’s Daily Telegraph about secret Russian-Saudi talksalleging that Bandar offered Russian President Vladimir Putin cheap oil in exchange for dumping Assad. His meetings in Amman with Jordan’s King Abdullah sometimes ran to eight hours in a single sitting. “The king would joke: ‘Oh, Bandar’s coming again? Let’s clear two days for the meeting,’ ” said a person familiar with the meetings.Jordan’s financial dependence on Saudi Arabia may have given the Saudis strong leverage. An operations center in Jordan started going online in the summer of 2012, including an airstrip and warehouses for arms. Saudi-procured AK-47s and ammunition arrived, WSJ reported, citing Arab officials. It is important to remember that Assad has been accused of using poison gas against civilians before. But on that occasion, Carla del Ponte, a U.N. commissioner on Syria, concluded that the rebels, not Assad, were probably responsible.Some information in this article could not be independently verified. Mint Press News will continue to provide further information and updates . The Syrian opposition on has accused the government of launching a chemical weapons attack in the Damascus suburbs that killed large numbers of civilians as they slept and packed makeshift hospitals with hundreds of victims convulsing and gasping for breath. Photographs and videos posted online showed the bodies of men, women and children, many appearing to be dead, without visible wounds. Varying opposition claims put the death toll in the hundreds, with some saying it was more than a thousand. While the public is shocked about news the Pentagon is making the initial preparations for a Cruise missile attack to punish Al-Assad regime. So has the “free and democratic world” forgotten the Iraq WMD disinformation campaign? In my opinion they should think twice as the right address might be Qatar-funded mercenaries led by Al Qaeda. Most people think the horrendous news they watch on TV, read in the newspapers or hear on the radio is real. It is not as the question is more about media-war than neutral unbiased newscast. c) Picture supposed to show a victim of ‘the gas attack’ in Damascus. The picture has also been used to show a victim of an attack in Egypt as well to show a victim of an attack in Palestine. d) Related to Syria it was the rebels who use chemical weapons and Jihadists, not Assad, apparently behind reported chemical attack in Syria. There is a tendency for the concept to be invoked in the heat of action, giving the appearance of propriety for Western television viewers, but that it neglects the conflicts that are forgotten by the media or occur based on chronic distresses than sudden crises. For example the US launched two military campaigns against Serbia while ignoring real and more widespread slaughter in Rwanda . The pattern of U.S. collaboration with Muslim fundamentalists against more secular enemies is not new. In the 1980s Washington’s secret services had assisted Saddam Hussein in his war against Iran. Then, in 1990, the US fought him in the Gulf. n both Afghanistan and the Gulf, the Pentagon had incurred debts to Islamist groups and their Middle Eastern sponsors. By 93 these groups, many supported by Iran and Saudi Arabia, were anxious to help Bosnian Muslims fighting in the former Yugoslavia and called in their debts with the Americans. Bill Clinton and the Pentagon were keen to be seen as creditworthy and repaid in the form of an Iran-Contra style operation – in flagrant violation of the UN Security Council arms embargo against all combatants in the former Yugoslavia. One could add that Ayman al-Zawahiri, later the leader of al Qaeda, came to America to raise funds in Silicon Valley for Bosnian jihadists.in 1993, Mr. bin Laden had appointed Sheik Ayman Al-Zawahiri, to direct his operations in the Balkans. Unfortunately, history is repeating. From my point of view it remains to see if this newest U.S. clandestine recycling operation has better success that earlier in Balkans, Afghanistan, Iraq, Libya … I doubt. More in U.S. Recycles Its Old Balkan Practice With Syria . Centcom’s Forward Command in Jordan is manned by 273 US officers. This underground facility near Amman is linked to US, Israel, Jordanian and Saudi Air Force commands ready for an order from President Barack Obama to impose planned air-strike as well a partial no-fly zone over Syria. There are today some 1,000 US military personnel in the Hashemite Kingdom, plus a squadron of F-16 fighters and several Patriot anti-missile batteries strung along the Jordanian-Syrian border to shield Jordanian and American bases and the capital, Amman. Obama’s final decision on a no fly and a buffer zone in Syria is expected in the coming two to three weeks. Arming rebels and pushing for military intervention will not solve the problem Syria is facing but indeed could lead to the death of thousands of Syrians and to the breaking-up of the country falling under the control of violent fundamentalist Jihadist forces. It will mean the further fleeing of Syrians into surrounding countries which will themselves become destabilised. The entire Middle East will then become unstable and violence will spiral out of control. Anyway if USA decides to bomb Syria wouldn’t the right address be Qatar-funded mercenaries led by Al Qaeda instead of the Assad regime. To show Russia’s seriousness in the Middle East, President Putin has paid personal visits and kept contacts with all the players, including the Sisi regime in Egypt, Israel, Syria’s Assad, and Saudi Arabia. Syrian President Bashar al Assad has now survived two years of civil war, and indeed he is even winning it.Only foreign intervention especially by the United States could defeat him. If so why he would do the one thing Obama said would trigger US action? Since both sides have been highlighting atrocities carried out by the other to garner support from outside Syria, it is not beyond the bounds of possibility that some unscrupulous rebel faction could have launched a so-called ‘false flag’ operation to discredit the regime even further. At the moment, it is difficult to see what desperate situation would have caused al Assad to use chemical weapons and risk the worst. His opponents however have the motivation – using chemical weapons to force the United States to intervene and depose al Assad. It might be possible that lower-ranking officers in al Assad’s military used chemical weapons without his knowledge and perhaps against his wishes. While all options are open what happened in relation of chemical weapons from my perspective it is crucial to wait untill we know more, for example after investigations made by U.N team. In normal cases the United States and its coalition partners, are using humanitarian pretexts to pursue otherwise unacceptable geopolitical goals and to evade the non-intervention norm and legal prohibitions on the use of international force. This false pretented humanitarianism has become a legitimizing ideology for projection of U.S. hegemony in a post–Cold War world. 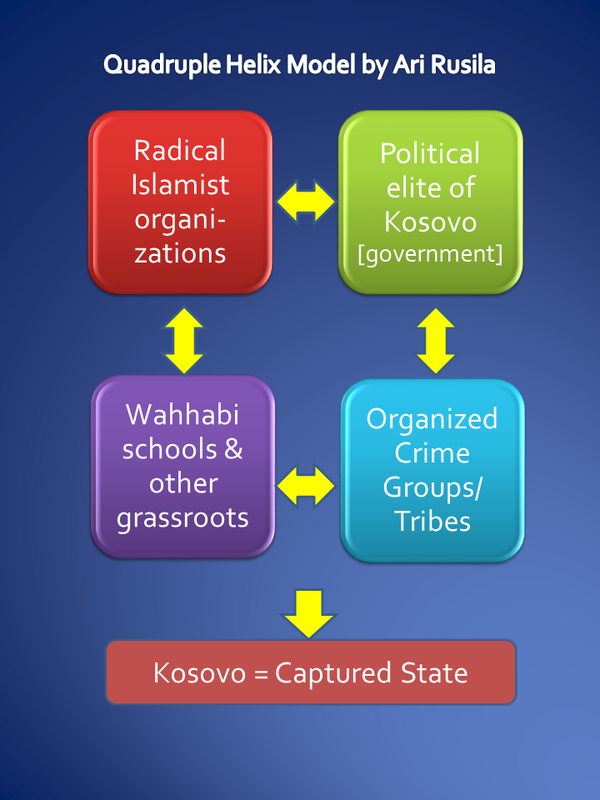 For example NATO intervention in Kosovo was conducted largely to boost NATO’s credibility. With case of Syria US doesn’t have big geopolitical interests to go war, the main cause might be that Obama draw his red line – use of chemical weapon – and he now have to act on the red line principle or be shown to be one who bluffs. If Obama doesn’t act this would show US weakness. Despite how US acts one should notice that there is already lot of foreign intervention in Syria: Russia, Hizbollah etc are giving weapons and support to al Assad regime; US, Saudis etc are giving weapons to sc freedom fighters; Qatar etc are financing al Qaeda’s fighters and Kurds get support e.g from Iraq. US might launch its air-strike but bottom line is that foreign fighters have already their boots on the ground. The Israelis are privately reluctant supporters of the al-Assad regime. It is a known quantity, with whom negotiation within established parameters is possible. The alternative, of divided Sunni Islamist politics presenting a potentially existential danger to the Jewish state and the region as a whole, is all the more destabilising. EU is bystander as usual however ready to throw their money in when dirty job is done. In my opinion the majority of the people of Syria are calling out for peace and reconciliation and a political solution to the crisis. The probable short term result will be dissolution of Syria – some kind of new balkanization or Somalization as it already happened in Iraq. 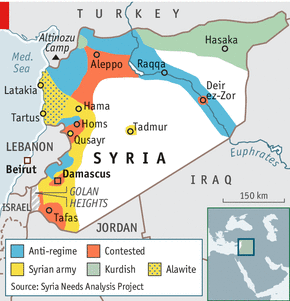 The country might fragment, as Kurds and Alawites form their own mini-states. The positive outcome might be that second piece– after North Iraq – of Kurdistan will be established while it remains to see when regions from Iran and Turkey will join to this long-felt need. 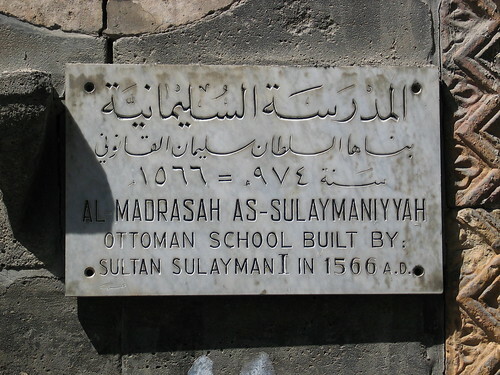 syria, a photo by themua on Flickr. The potential “third energy corridor” – the Greece-Cyprus-Israel energy triangle may be the winner of the European energy game.”Third Energy Corridor” into the EU, a development of certainly wider geo-economic proportions.The gas could be a geopolitical game changer especially for Israel as well for the wider region (meaning the Balkans, the Middle East and especially the Eastern Mediterranean). The Energy Triangle refers to the joint natural gas extraction between Cyprus, Israel and Greece that is estimated to begin in 2015. Officials from all three countries have agreed to the establishment of a gas pipeline from the Aphrodite gas field and the Leviathan gas field to a liquefied natural gas plant in the Vasilikos Power Station by 2019. (Note: here is not referred EU’s energy policy triangle ”emissions-supply-affordability”). So for the Energy Triangle and the EU there is now three projects of common interest: the first is the connection of an electricity cable between the three countries, the second is the feasibility of a pipeline from the East Mediterranean to Europe via Greece and the third one is the gas storage pipeline that will enhance the strategic resources of Cyprus, Israel and other European countries such as Greece. Russia is the key player – even a game changer – in this triangle too. Future production in the eastern Mediterranean would be too marginal to offset Russia’s dominant market position. Nevertheless, the state-owned gas monopoly Gazprom is seeking a financial stake in the development of local resources. Israel and Cyprus see Russia as a source of both technical expertise and potential political support. Russia has repeatedly affirmed Cyprus’ right to explore offshore deposits in its exclusive economic zone. Moscow won’t jeopardize its new deeply strategic energy partnership with its Israeli-Greek Cypriot ‘Western’ partners – in particular, its burgeoning relationship with the Middle East’s coming energy superpower, Israel. It is not only energy but geopolitics as Russia’s actions might cause selling out of Russia’s backing for both Iran and Syria for a Stake in Israeli Gas. Gazprom has also revealed that the company still has plans to link Greece with South Stream. This implies that the Russian strategy is to use Greece as a potential LNG hub, supplied by South Stream. South Stream, as far as its geostrategic role is concerned, is one of the most important projects in Balkans since WWII. Especially Serbia can be the heart of energy transport in the Balkans but also two branches will be built – to Republika Srpska and Croatia. In addition the Serbian side has proposed the construction of branches to Kosovo and Montenegro and Macedonia has also expressed the wish to get a branch of the pipeline from Serbia. On the other side the competitive project, the Nabucco pipeline, is already practically dead. More about background of Nabucco/South Stream battle in my articles Is it time to bury Nabucco? and EU’s big choice – Nabucco or South Stream? The new opportunity with energy gives also some new political leverage to Israel. There has been a bit uncertainty how Israel will formulate its export policy. Israel’s options for selling the gas include Europe, China or even India. In terms of development, a partnership with Cyprus tying in its gas fields and co-operating on building sub sea gas pipes makes sense. And Greece has proposed becoming a distribution hub for eastern Mediterranean gas throughout Europe. Just how Israel’s vast reserves are to be monetized is yet to be seen. However in the few years since the state’s changeover from oil to gas-powered electricity generating plants Israel is already believed to have saved around $5 billion in revenue. The U.S. Geological Survey says the Levant Basin, encompassing Syria, Lebanon. Cyprus, Israel and the Gaza Strip, contains 123 trillion cubic feet (tcf) of gas and 1.7 billion barrels of oil. 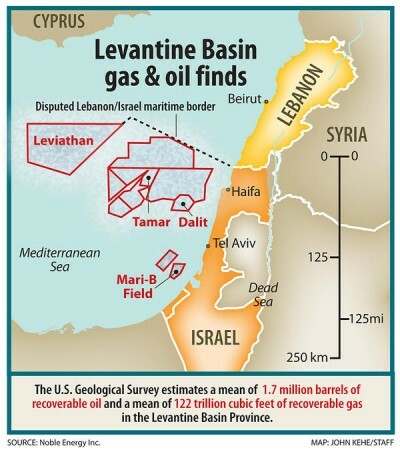 In 2009 and 2010, a pair of U.S.-Israeli consortiumsexploring the seabed near Haifa discovered the Tamar and Leviathan fields, which collectively hold an estimated 26 trillion cubic feet (tcf) of natural gas. Israel has also worked to expand political, military, and economic cooperation with other local stakeholders, particularly Cyprus. But even at a combined total of 25 Tcf, worth some 200 billion euros at today’s prices, Tamar and Leviathan only represent around a fifth of the estimated gas in the Levantine Basin, much of which falls within Israeli jurisdiction. Anyway only this is enough gas to supply Israel’s needs for 150 years. Since Cyprus signed a maritime border agreement with Israel in 2010, it has become the second main beneficiary of the gas boom. The island straddles Israel’s most likely gas export route to European markets. Cyprus also lays claim to its own gas deposits. The Aphrodite field, which is next to Leviathan, may contain up to seven tcf of natural gas — enough to meet Greek Cypriot domestic consumption needs for decades to come. Yet even that field is contested by others. The breakaway Turkish Republic of Northern Cyprus claims co-ownership of the island’s natural resources. On the borders of energy triangle one should not forget Syria, which is in the middle of two important energy corridors: It links Turkey and the Caspian See to Israel and the Red Sea and it links Iraq to the Mediterranean. Syria’s civil war is preventing seismic soundings in its waters but there’s every reason to assume they contain similar-sized gas fields.The Eastern Mediterranean gas fields might be the reason the Kremlin has created a military foothold in Syria for the Russian Federation. Moreover, it has been Iran that has agreed to explore and help develop these natural gas fields off the Levantine coast for Beirut and Damascus. Before civil war Syria was seeking foreign investment for three offshore oil and gas concessions. If the present regime in Syria falls the question is who would control these energy routes. If western powers are taking more firm grip from Syria it would also mean that the large natural gas fields off the Lebanese and Syrian coastline in the Eastern Mediterranean would be out of reach for China and instead go to the E.U., Israel, and Washington. Also Lebanon, whose waters border both those of Israel and Cyprus, is expected to start issuing tenders to international companies to explore its maritime exclusive economic zone. To its south, Israel has a difficult relationship with Hamas and the Palestinian Authority (PA) over natural gas, and has been obstructive to the PA’s own natural gas exploitation opportunities. Gas was discovered in 2000 by BG in waters that would include Gaza’s EEZ. However, political difficulties made it impossible to tap and transport the gas – not only is the PA not a member of the UN Convention on the Law of the Sea (UNCLOS) and hence has not declared its EEZ, but Israel occupied the Gaza Strip until 2005 and holds de facto control over the waters off Gaza’s coast. Earlier Egypt’s natural gas sector has expanded rapidly, with production quadrupling between 1998 and 2011. Egypt’s proven gas reserves were estimated at 2.2 tcm in 2011, representing the third-largest reserves in Africa after Nigeria and Algeria. In 2010, Egypt produced roughly 61.3 bcm of natural gas, of which 45.1 bcm was consumed domestically. In 2010, Egypt exported 15.1 bcm of natural gas (of which 9.71 bcm was via LNG and 5.46 bcm via pipeline). Egypt’s proven crude oil and condensate reserves are estimated at 4.5 billion barrels. The recent unrest in Egypt and the overthrow of President Mohamed Morsi is again giving the energy markets jitters reminiscent of the uprising in 2011 that ended Hosni Mubarak’s 30-year rein. Then, as now, most attention is focused on oil markets and possible disruptions of tanker trade through the Suez Canal. But with increased worldwide attention focused on liquefied natural gas (LNG) trade, it’s important to note that about 13-14% of global LNG trade passes through the Suez Canal. Since 2011 Egypt has suffered from gas shortages and has already halted gas exports to Israel and shut down one of its two LNG plants — the SEGAS LNG plant at Damietta — because of a lack of feedstock. With a newfound focus on maritime security, eastern Mediterranean states are also keen to modernise their navies and coastguards. Israel, for example, announced in July 2012 that it would spend $800 million on acquiring four offshore patrol vessels to protect its platforms and enforce maritime security. Turkey, meanwhile, has a number of naval procurement projects, including 16 Tuzla-class patrol craft for the navy and four Dost-class offshore patrol vessels for the coastguard. The most substantial Turkish procurement is for a $1.7 billion landing helicopter dock, the navy’s first amphibious assault vessel. Two other claimants, Greece and Cyprus, are hamstrung in procurement efforts by lack of funds. Inspired by the gas finds, however, Nicosia finally gave the go-ahead for the procurement of two offshore patrol vessels in January, with a likely budget of $150m (although it is unclear how the country’s financial crisis will affect this programme). Greece, meanwhile, with a defence budget constrained by a political decision to stick with the purchase of six submarines from Germany, has resorted to unusual deals to bolster its Mediterranean presence. In February, Athens sought to lease two frigates and four maritime patrol aircraft from the French navy to better patrol the eastern Mediterranean. US firm Noble Energy and Delek Energy, a domestic company, discovered gas off the country’s coast in 1999. The Mari-B field, which began production in 2004, contained about 1 trillion cubic feet (tcf) of gas but is now severely depleted and likely to run dry within two years. Other nearby fields, such as Noa and Pinnacles, are now connected to the Mari-B platform and began production in June 2012 – they are thought to hold a further 1.2tcf of gas. The first well, Leviathan 1, was first drilled to a depth of 5,170 metres where the deposit found was estimated to contain 16 trillion cubic feet (450 billion cubic metres) of natural gas. The second stage of drilling of the Leviathan 1 well was intended to reach a depth of 7,200 metres where the estimated natural gas reserve is an extra 9 trillion cubic feet (250 billion cubic metres) and potentially 600 million barrels of oil. The Tamar field is considered to have proven reserves of 200 billion cubic metres (7.1 trillion cubic feet) of natural gas and is estimated to contain an extra 80 BCM of probable natural gas reserves. In a related development, natural gas from the offshore Tamar gas field near Haifa started flowing last April 2013.Tamar produces a gross 636 million cubic feet of gas a day. Karish is Israel’s latest offshore gas discovery northwest of Haifa and the fifth field to contain over 1 tcf of gas. Noble Energy announced on the 22nd of May 2013 the discovery of the Karish well, in the Alon C license approximately 20 miles northeast of the Tamar field, in 5,700 feet of water. Beyond Israel, the most active country in gas exploration has been Cyprus. Nicosia was eager to negotiate its Exclusive economic zone (EEZ) boundary with Israel (having already done so with Egypt in 2003), and reached an agreement in December 2010. A year later, the real Aphrodite field (Block 12) was discovered in Cypriot waters, just 35km west of the Leviathan field. The estimated reserves of up to 8 tcf would more than cover Cyprus’s entire energy needs for 200 years. Use the gas production for electricity generation and creation of a high voltage cable to connect Israel-Cyprus-Greece who will consume the electricity. it would mean that Israel could export energy to Europe, and in times of crisis could fall back on European electricity. it would mean that Israel could export energy to Europe, and in times of crisis could fall back on European electricity. It should be pointed out that any transfer of gas to Europe from developments in the eastern Mediterranean would take upwards of a decade to begin, once investment decisions were taken. In one other point of view, a dynamic triangle between Greece-Cyprus-Israel could be treated as an efficient geo-political counterweight to Turkey. Already on end of June 2013 Cyprus inked a deal with a US-Israeli partnership to build a liquefied natural gas plant on the island to exploit untapped energy riches. Building a multi-billion euro LNG plant is seen as the biggest infrastructure investment project in the island’s history. Early August 2013 Greece, Cyprus and Israel signed a memorandum of mutual understanding to cooperate in energy and water resources. The delegations from all three countries voiced their support for the EuroAsia Interconnector project that plans to link the electricity grids of all three countries via an underwater cable that is also going to hook up with the Paneuropean Electricity Grid. The 2,000-mega-watt EuroAsia Interconnector could potentially allow for the export of electricity generated in the eastern Mediterranean to the EU energy market through the trans-European electricity networks; it is also seen an important reason for stability in the eastern Mediterranean. The term “Energy Triangle” was first issued at the Cyprus-Israel Business Association in Nicosia, Cyprus in 2010. Due to the joint establishment of the Exclusive economic zone (EEZ) between Cyprus and Israel, this marked the beginning of an increasing collaboration between the two Mediterranean neighbors. Both countries agreed to a joint extraction of natural gas by the American company Noble Energy in order to cut the financial burden of extraction by both countries. Shortly after the exchange of representatives between Israel and Cyprus, the Gaza flotilla raid occurred in 2010, thus destroying the Israeli-Turkish relations and pushing Israel towards a closer alliance with Greece. Since 2011 Greece joined Israel and Cyprus in the plan to export natural gas to Europe by 2015 through a power plant close to Limassol. The discovery of natural gas is a huge strategic opportunity but it also has complicated rivalries in the eastern Mediterranean, an area already full of long-standing security issues.Among those to have issued assertive statements of intent regarding undersea gas finds are Greece and Turkey, Cyprus and the self-declared Turkish Republic of Northern Cyprus, as well as Israel, the Lebanese militia group Hizbullah and Palestine’s Hamas. The energy discoveries during last decade have transformed Israel’s energy calculus and caused a significant strategic shift.. In 2012, when Egypt abruptly cancelled natural gas exports to Israel, the country was reliant on imports for 70% of all natural gas used, and on its Arab neighbour alone for 40% of its supply. But the Tamar and Dalit fields alone hold enough natural gas to supply all the country’s needs for two decades. 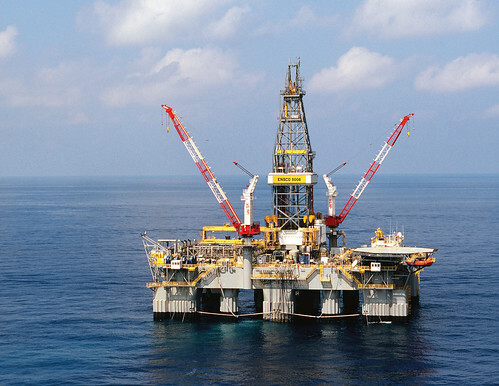 When combined with Leviathan, Israel could meet all of its electricity needs and export gas. Two days before his inauguration, President of Iran, Hasan Rouhani said, “The Zionist regime has been a wound on the body of the Islamic world for years and the wound should be removed”. A bit similar words were given by former President Ahmadinejad for years. On the other side Israeli Prime Minister Netanyahu went on U.S television to remind the world that the threat from Iran remains very much alive. Speaking on “Face the Nation,” Netanyahu warned that the Islamic Republic is once again approaching a nuclear redline, and hinted that if the United States doesn’t take action soon, he will. Israeli leaders have been issuing such alarms for almost a decade now. While military strike still is a serious thread the secret war between Israel and Iran has been going on the whole time. From Israeli side well known actions are assassinations of some key figures in Iran’s nuclear program, Stuxnet and some strange blasts and explosions in Iran’s nuclear facilities. However its pleasure to find out that some civil activities will give hope that a non military development might be possible. Recently in July 2013, Iranian film director Mohsen Makhmalbaf, an Iranian film maker and member of the Iranian political opposition who has won some 50 awards, visited Israel as a guest of honor at the Jerusalem Film Festival. He received an award for his efforts to promote freedom and democracy in Iran and hosted a film screening of his recent film The Gardener – a film that explores the Bahai community in Israel. The Gardener is the first Iranian film since the 1979 Iranian Revolution to be filmed within Israel. A number of his other films were also highlighted at the Jerusalem Film Festival. Crowds of Israelis honored him with standing ovations. Makhmalbaf was the first high-profile Iranian artist and former revolutionary to visit the Jewish state since the 1979 Islamic Revolution in Iran. Born in Tehran 56 years ago, the maker of 20 films took part in the demonstrations against the shah of Iran which saw him arrested at the age of 17 and spending more than four years in prison. After the 1979 Islamic revolution he was able to concentrate on cinema, but his approach and attempts to prevent censorship angered the new authorities. Makhmalbaf was forced into exile in Afghanistan and Tajikistan, where he remained underground, before moving to Paris for four years. He now lives in London. “On many occasions the Iranian authorities sent killers after me. I narrowly escaped a grenade attack in Afghanistan. In Paris I lived 24 hours with 24 bodyguards,” he said. All of his films and 30 books are banned in Iran, but his movies do find their way in through black market DVDs, satellite television or YouTube. In response to Makhmalbaf’s visit to Israel, Javad Shamghadri, one of the authorities of the Ahmadinejad-controlled cinema agency, ordered the withdrawal of all of Makhmalbaf’s works from Iran’s cinema museum. Also a group of Iranian scholars, artists, journalists and activists who are deeply concerned by the decision of Makhmalbaf to take part in the Jerusalem International Film Festival as they see that his participation directly violates the International call for Boycott, Divestment, and Sanctions (BDS) of the State of Israel campaign issued by Palestinian civil society in 2005, as well as the specific call for Academic and Cultural Boycott of Israel issued in July 2004. Still, Makhmalbaf says he is “proud to have paved the way for Iranian cinema in Israel. Boycotting and writing statements does not solve anything. It only leads to war. We have to get to know each other through art, literature, and cinema, so we can become friends and end the hostility. That’s the reason I filmed my latest movie ‘The Gardener’ in Israel.” And, he adds, he hopes that someday soon, Israeli filmmakers will be able to shoot films in Iran. Iranian director, Mohsen Makhmalbaf, who recently attended the Jerusalem Film Festival to screen his latest film “The Gardener”, received a special award from the festival organizers for “artistic achievements” and “for his long battle and struggle for democracy and freedom” in Iran. Mr. Makhmalbaf added in Jerusalem that he likes the people of Israel but an attack by Israel against Iran would only worsen the situation. He stated that instead of a military attack, Israel should support the “democratic forces” in Iran which struggle for freedom. It is at this juncture of time, and under the circumstances outlined above, we sign this letter to support and applaud Mohsen Makhmalbaf’s bravery for breaking the taboo of visiting the state of Israel and conveying the message of friendship between Iranian people and people of Isreal. We believe that supporting the rights of the Palestinian people is not a sufficient justification to criticize an Iranian director’s professional trip to Israel. We still remember those Israeli and Iranian citizens who last year launched a campaign of friendship between the two countries and exchanged written and video messages stating that they “loved “ each other just when it seemed that the chances of an Israeli strike against Iran was increasing. We condemn the politics of war whether it is advanced by officials of the Islamic Regime or some officials in Israel. Instead, we endorse, support and welcome, the position of Mohsen Makhmalbaf that instead of a military attack, Iran’s “democratic forces” should be supported. Just like Mohsen Makhmalbaf, we are unafraid to stretch out our hands in friendship with the citizens of Israel and believe that art can be a tool that brings people together regardless of people’s racial, linguistic and political differences. We believe that instead of criticizing Mohsen Makhmalbaf’s trip to Israel, we should call him the ambassador of peace and friendship between the people of Iran and Israel. Ahmadi criticizes Iranian leadership’s view of Israel as “little Satan” to the US’ “big Satan.” He says he is embarrassed and saddened that the present Iranian government remains opposed to Palestinian-Israeli peace negotiations. “Even with a new president, it is evident that Iran’s government hasn’t changed at all, and it is no surprise that Iran still continues to fail to live up to their international obligations,” he said. I highly appreciate people like Mohsen Makhmalbaf who have courage to act outside the box of their regime. Happily the Jerusalem Film Festival was not an isolated case. At grassroots there has been over one year a movement labelled as ”Israel loves Iran”. It is aline of communication between the people of Israel and Iran – a bridge in the Middle East between the people. The mission of this mostly virtual group is to break the wall of fear, built a bridge of communication as war happens where there is no communication.”And the only thing we can do…is communicate. Get the lines open. That’s hope…and that’s easy. Because of the internet” says in their mission statement. Israel loves Iran Facebook community can be found from here! 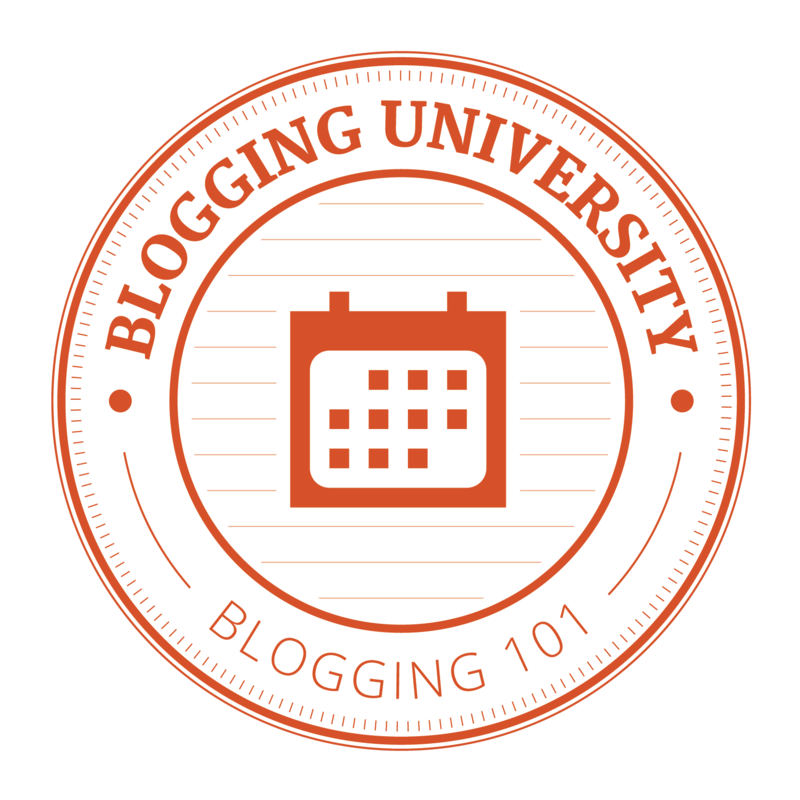 You are currently browsing the Conflicts by Ari Rusila blog archives for August, 2013.